Christmas has come and gone as too has New Years Eve and we’ve had lots of left overs in the fridge. Our kids are spending almost every day in the pool and that will definitely be the case for the next week as we head into a week of between 30 & 40 degrees Celsius. I decided yesterday the best way to ensure they eat dinner was to feed them by the pool so I made up a salad of diced cucumber, tomatoes, feta & lettuce dressed with a little balsamic vinegar, sliced some yellow & red capsicums (bell peppers) and cooked up some of the leftover veggies in the fridge like asparagus, add to that some BBQ sausages & lamb chops from the night before and voila you have a salad which was demolished quick smart! Although the asparagus was fed to Daddy 😀 all round though a colourful tasty combination. 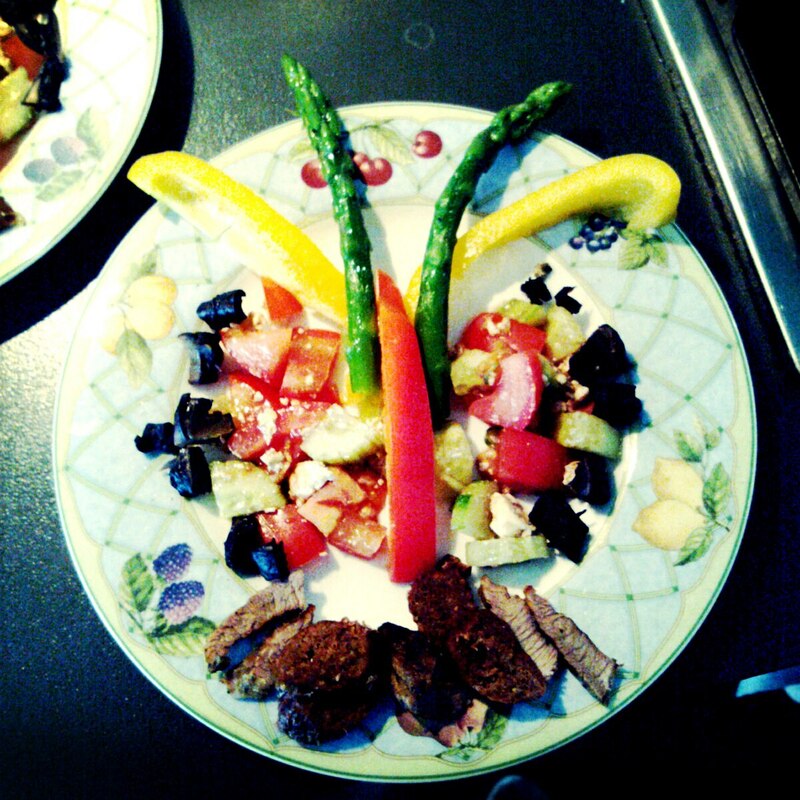 This entry was posted in Kid Friendly, Lunch, Main Course, Recipes, Salads, Side Dishes, Vegetables and tagged asparagus, balsamic vinegar, BBQ, Capsicum, Children, cucumber, feta, food, Kid friendly, Kids meals, Lamb, leftover veggies, Salads, tomato by Food From Our Life. Bookmark the permalink.